The HKS FCD is an electronic device developed to properly raise the factory fuel cut level on factory turbocharged vehicles. As modifications are made to optimize engine performance, the factory fuel cut is often triggered by higher boost levels which activate a fuel delivery cut-off as a failsafe procedure. Symptoms of fuel cut are hesitation, bogging, and/or illumination of diagnostic indicators. The electronic signal from the FCD will raise the fuel cut level to accommodate for the additional boost without triggering fuel cut and/or an engine diagnostic light. 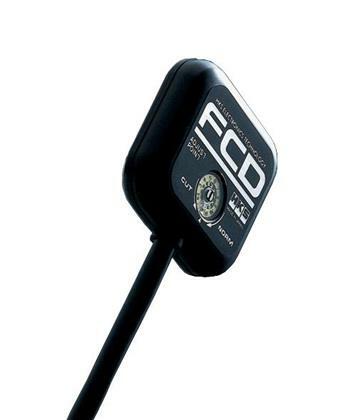 The FCD installation is designed to be easily integrated with the VPC/F-CON or factory ECU harness. Warning: Due to the characteristics of this product, higher than recommended or unsafe boost levels may be attained by the installation and use of the FCD. This may result in severe damage to the vehicles engine or other mechanical parts. We suggest a fuel delivery upgrade and consulting a trained technician before the purchase and use of the FCD.